(May 2nd, 2016) The Ministry of Foreign Affairs calls on Japan to enter talks with the Republic of China on the contested waters surrounding Okinotori following the seizure of an ROC fishing boat April 25. Japanese coast guard personnel boarded the Dong Sheng Ji No. 16 and then detained the boat and its crew in waters about 150 nautical miles east-southeast of Okinotori (19°29’42” north latitude, 139°42’74” east longitude). 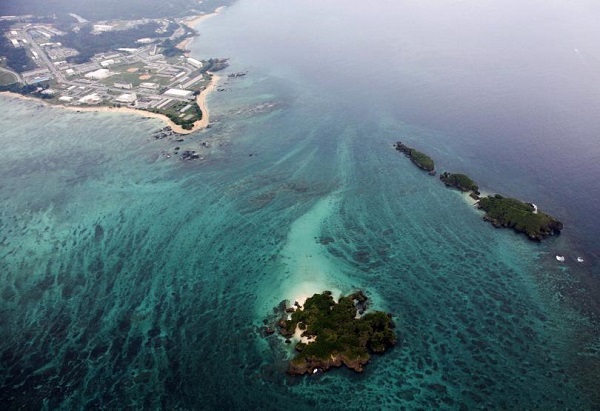 On the issue of whether Japan is entitled to a 200-nautical-mile exclusive economic zone surrounding Okinotori, with a naturally formed land area of 9 square meters, MOFA has reiterated to Japan on numerous occasions that the ROC government has taken note of the controversy regarding the status of Okinotori and proposes that parties involved negotiate the matter according to international law or settle it peacefully with the assistance of international organizations. Before the UN Commission on the Limits of the Continental Shelf makes a final decision on the legal status of Okinotori, Japan should respect the navigation and fishing rights of the ROC and other countries in those waters and engage in consultations with the ROC as soon as possible so as to reach an outcome that both sides find acceptable. In accord with the wishes of the families of crewmembers that the boat and crew be released as soon as possible, the captain of DSJ16 paid a security deposit of six million yen (US$54,000) April 26 with assistance from MOFA. The captain and his crew were released in Yokohoma that afternoon at 4:40 p.m. Officials from the ROC representative office in Japan promptly paid them a visit and informed their families of their release. MOFA stresses again that the deposit paid to Japan by the ship’s owner does not indicate that the ROC government implicitly accepts Japan’s claim to a 200-nautical-mile EEZ surrounding Okinotori.